The Hercules MS533B Tripod base Boom stand features the Hideaway Boom and can easily be converted to a boom or straight stand. 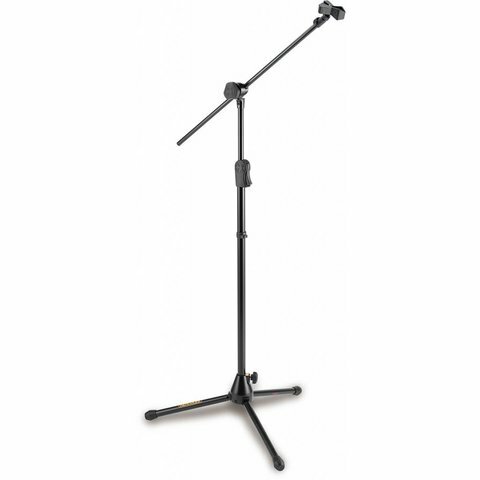 It also features EZ Mic Clip, 2-in-1 Boom Clamp, and EZ Clutch height adjustment. - Height of 42.1" to 94.5"
- Base radius of 13.4"
- Boom length of 30.7"